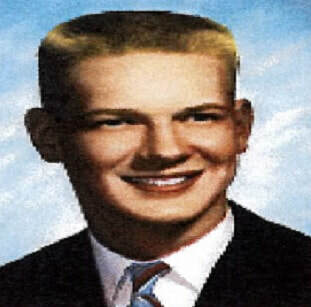 Douglas Duncan graduated from AHS in 1961. He ranks as one of the greatest basketball players in the history of the school. At his graduation, Doug was the second leading career scorer in AHS basketball history, behind only Tom Schaefer ’56. In the last seven games of his senior season, he averaged 23 points-per-game. He averaged 12.9 ppg as a sophomore, 16.3 ppg his junior year and 15.6 ppg his senior season. During his basketball career for the Aviators, he led his AHS teams to two sectional tournament titles Doug is a top 10 scorer in AHS history (he played 2-1/2 seasons due to surgery). He scored 765 career points in 52 games played. He finished his career averaging 14.7 ppg. Duncan earned All-Ohio basketball honors, first-team All-Stark County and first-team on the Alliance Review and Canton Repository all-star basketball teams. He was a member of the National Honor Society and president of his graduating class. Upon graduation, Duncan went on to letter for the Toledo Rockets. His first game there was against Notre Dame and he scored 11 points and had 5 rebounds against the Irish. Another highlight during his Toledo career occurred when the Rockets defeated New York University, ranked No. 1 in the nation at the time, in a game at New York’s Madison Square Garden. He graduated from the University of Toledo in 1965 with a Bachelor of Science Degree in Business Administration. Doug worked for BF Goodrich for 23 years at various sites in the United States as a manager in chemical purchasing. He also worked as Director of Purchasing for Carlisle Syntec and Pirelli Tire and at MA Hannah Corporation as Vice President for Supply Chain Management. Doug and his wife Brenda have three married children, Scott Julie and Heather.